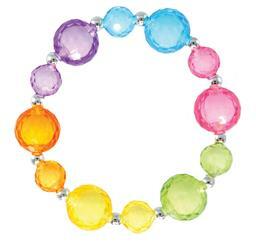 Bubble ball trouble awaits with this fun rainbow bracelet. Multifaceted spherical beads grab the light and are strung together in a rainbow like pattern. Smaller silver beads are added for extra fun.